Fr. 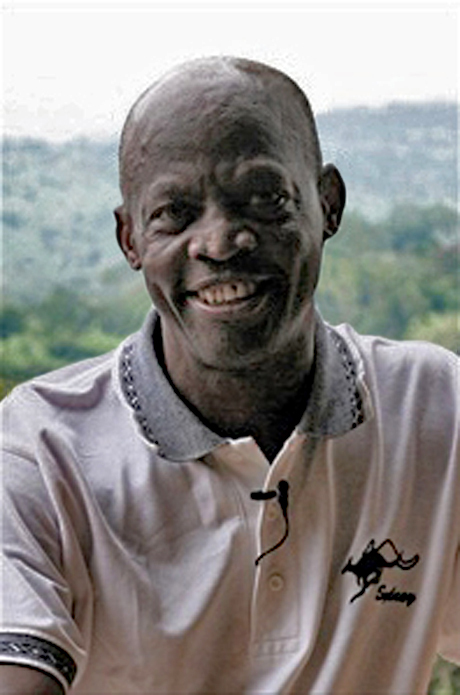 Kakuba Kapia was born in 1947 and grew up in the villages of the Kanyike Project. Everyone lived in grass houses. He didn't go to school until he was 9 - there were cattle to be looked after and no money to pay school fees. He ran away and was taken under the wing of a priest who saw to his education. He is currently not only the CEO of the Kanyike Project, but also a radio presenter, travelling lecturer and priest. He celebrated 40 years of priesthood in 2016. Although he retired as a lecturer and chaplain at Kyambogo University in 2013, he continues to lecture on a part-time basis. Every other year, he comes to the UK to raise awareness of the Kanyike Project and encourage fundraising. He visits schools, organisations and individuals who have either helped Kanyike or who wish to help. He also meets the UK Trustees of the Kanyike Project.